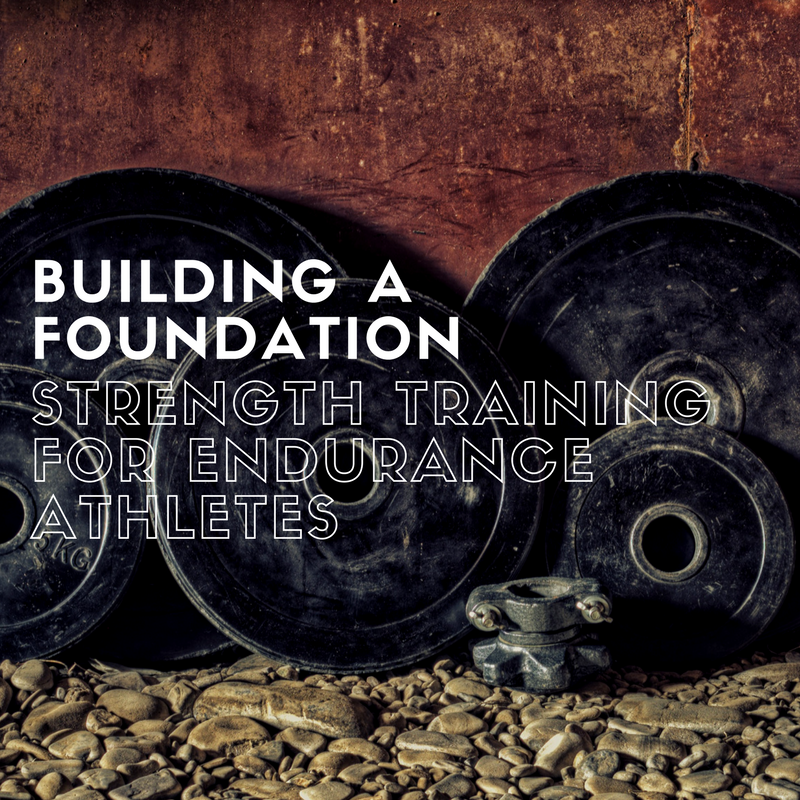 Whatever your chosen sport, if you’re an endurance athlete, you should invest at least a small portion of your time into strength training. I’m a big believer in balance. Nutrition, training and lifestyle, we need to mix it up to keep the body guessing. As much as we hate to admit it, if you are a single-sport athlete, your body has developed weaknesses. This is by no means because of improper training; it’s the constant repetition of the same movement over and over again. If you’re a runner, you will most likely have strong quadriceps and calves but lack in the hamstring and glute department. Cyclists have strong quads but typically bad hips and hamstrings. Even the multifunctional triathletes routinely get problems with their joints in the shoulders and ankles. We call these weaknesses, imbalances. These inconsistencies in antagonistic muscles can lead to injury, affect our movement patterns and ultimately lower our performance. A supplementing strength program can help to offset these imbalances and actually help improve your performance in your field. Your VO2 max is the maximum or optimum rate at which your heart, lungs, and muscles can effectively use oxygen during exercise. It is used as a way of measuring a person’s individual aerobic capacity, a great metric for endurance athletes. So how would implementing strength training (anaerobic) into your training routine be able to make you perform better on a cardiovascular level? Good question! According to a study by Jan Hoff, “To optimise VO2max, the runner must stress the oxygen delivery and processing system to its limit”. To help develop this process, interval and high-intensity training can help push the boundaries of your VO2 max threshold making you a better endurance athlete. If you haven’t heard the term ‘runners economy’ before, no, it has nothing to do with the actual economy. Although that would be nice if we could benefit financially from a little strength training…But really, runners economy can be defined as the energy demand for a given velocity of submaximal running. Or in simple terms, the measure of how much energy you burn to run at a given pace. According to a study found in the Journal of Strength and Conditioning Research by Fernández Balsalobre, they found that after testing 93 runners in their controlled experiment, there was a “large, beneficial effect” of strength training on running economy. To be specific, they found an average improvement of 2.32 mL/kg/min in their participants running economy. After strength training, in other words, the runners could maintain the same pace while using 3-4% less oxygen. If when you’re out running and your posture or balance starts to falter before your lungs or legs get tired, you need to start working on your core. Most endurance athletes know the benefits of having a strong core when it comes to their chosen sport, but choose the wrong exercises to strengthen it. Focus on core exercises where the spine stays in its natural position. Compound lifts like the squat or deadlift are perfect for developing core strength as well as other vital stabilising muscles used in endurance racing. Although we previously touched upon this in a point above, injury prevention cannot be understated. As an endurance racer, I’m sure you’ve had your fair share of injuries. One study puts the number of runners who have had a running related injury at 85%. The wear and tear of endurance racing will eventually take its toll on your body over time. According to Jason Fitzgerald, using runner-specific strength exercises will increase structural fitness—or the ability of your bones, ligaments, tendons, and muscles to withstand the impact of endurance racing. So hopefully we have given you a few reasons to change up your training routine to incorporate weight training. Bear in mind, there are always two sides to every story, especially one as subjective as training. Some athletes don’t do any weight/strength training at all and still perform at elite levels. This neither discredits or proves the theory, it purely shows that each individual has their own needs. Endurance racing is a multi-joint/muscle activity so the training you do should reflect that. These exercises target functional movements that we do in real life: bending down, pushing and pulling things, and picking things up. Bodyweight routines can be done at home, without any equipment. One of the best ways to incorporate this into your workout is by using interval training. Have a play around and create your own workouts or look online for some inspiration. This is all about knowing your body and your muscle imbalances. Find out which areas need work and devote a certain amount of time every week to get them up to scratch. Do you incorporate strength or weight training into your schedule? We would love to hear about your results!